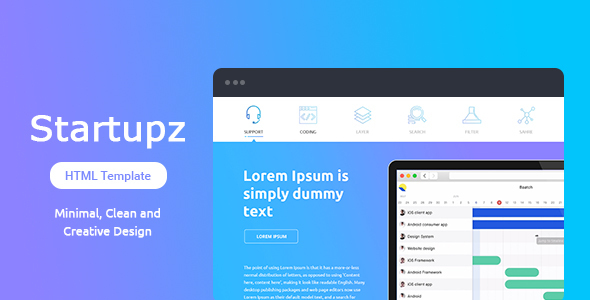 Startupz – Startupz – Single Page HTML template is a super cool, creative and clean template for use in a modern startup web landing page. Perfect for web apps, saas, mobile apps and your great game changing idea! Startupz – singlePage HTML template comes with a beautifully developed landing page template to get your project off the ground. Startupz is the only template your startup will ever need!